FROM THE EARLIEST GRADES, we try to help children learn to be in charge of their happiness. Many age-appropriate classroom practices are specifically designed to help children become aware of the choices they make, and the consequences of those choices. Thus they learn from their own experiences, rather than through dogma or punishment. 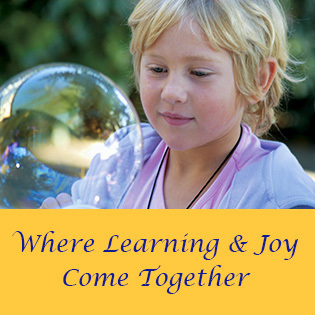 “Children at Living Wisdom School develop an underlying sense of self-confidence, no matter what level of skill they operate on. Enthusiasm and self-confidence, this is what you need for your whole life. So often, when children go to school they lose these qualities. Living Wisdom School makes them stronger.